This section is where you can find out about the finishing processes for different materials. We start with timber (wood). 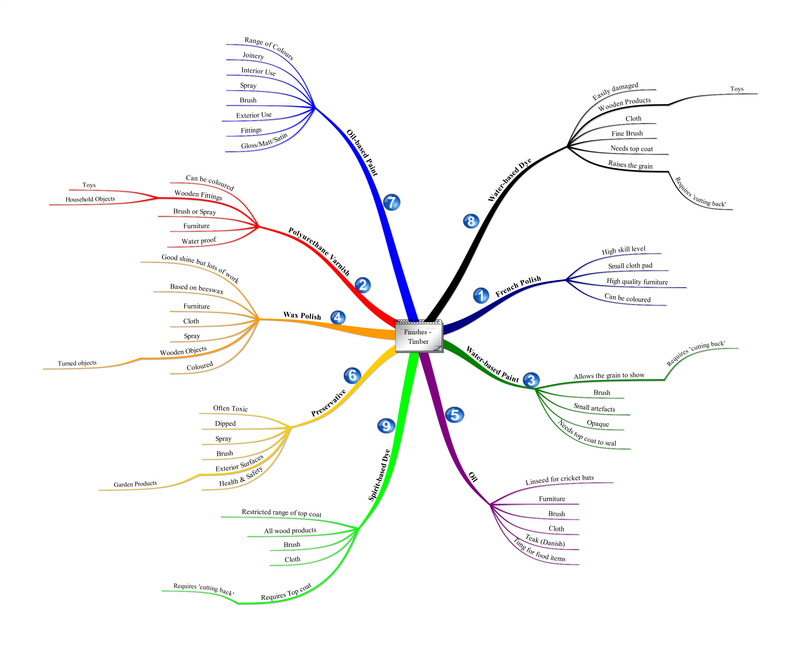 I will be using my usual mindmaps to help you prepare for your projects and exams. The finish needs to protect and enhance the object, all too often the finishes seen in school are poor quality due the the lack of time spent on the preparation.